You guys! 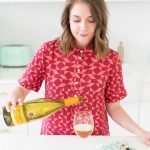 Holiday entertaining is here and it is my fave! Mostly because I love nothing more than making allll of the unhealthy things because people are always willing to dig in without guilt this time of year. Am I a bad influence or what?! 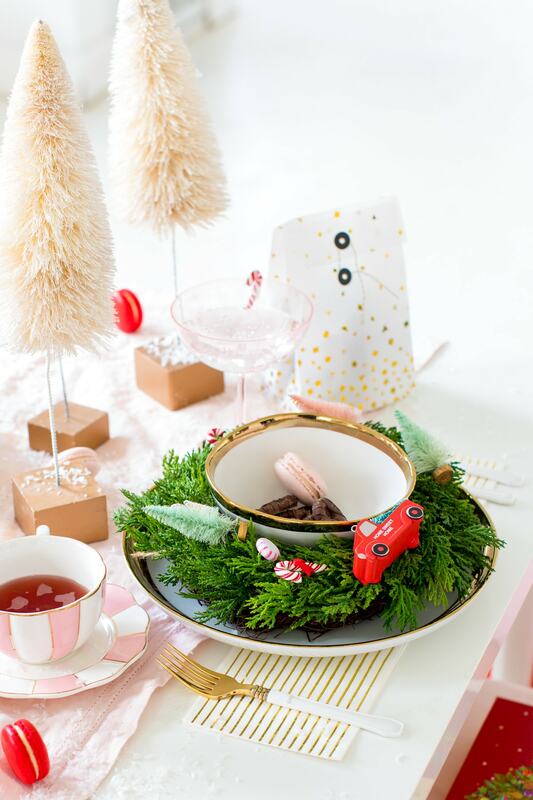 To bring you gifting and entertaining inspiration, I put together a quick and easy Christmas table decor idea and hostess gift guide with some of my favorite things. 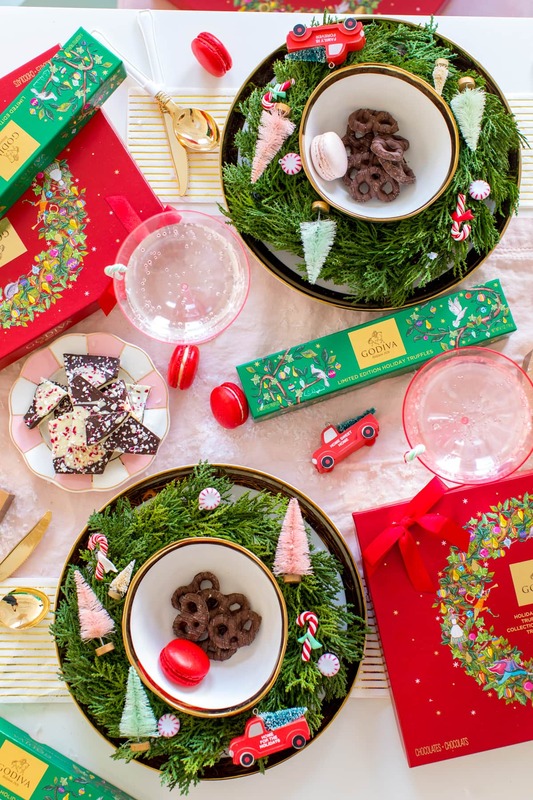 Before we hop to the gift guide, I wanted to talk through the table setting idea and how I used mini wreaths as a way to frame these super cute gold rimmed GODIVA bowls that come as part of this GODIVA milk chocolate pretzel gift set. 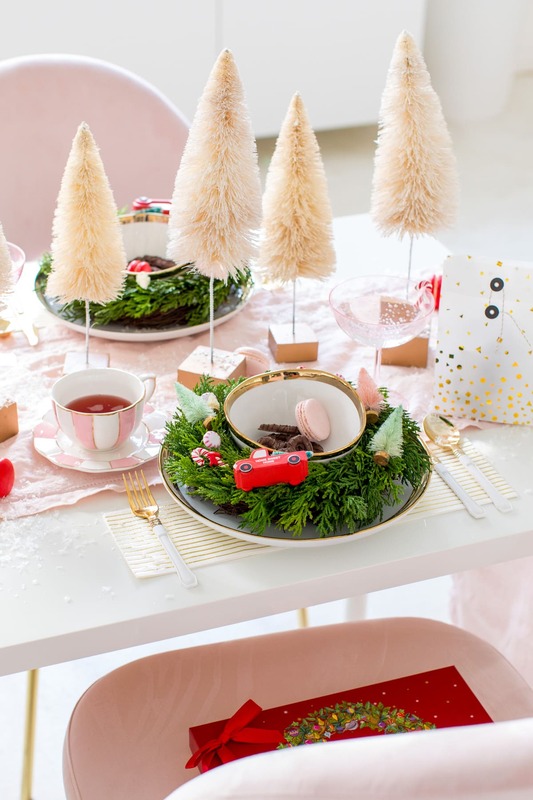 To add some whimsy, I used little characters and mini bottle brush trees for a more festive feel. 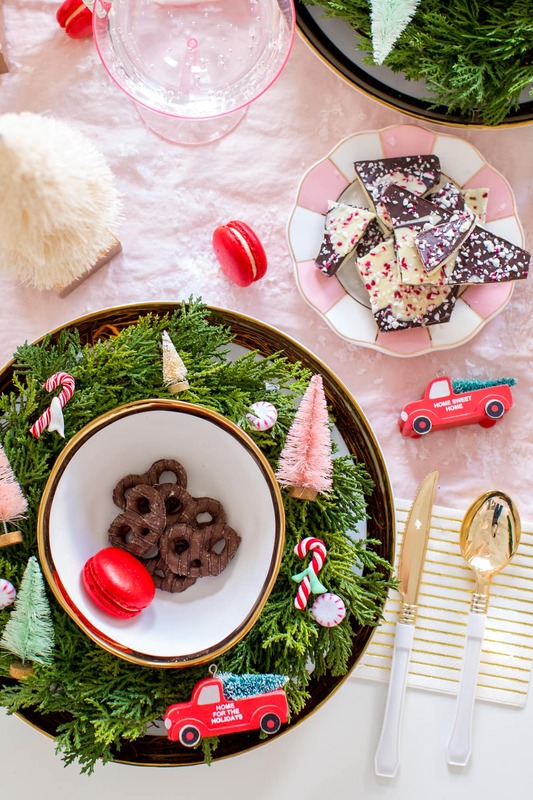 The Holiday Desserts Collection has the cutest wreath design and is perfectly whimsical for the “icing on the cake” (see what I did there ;) ) to your table design! 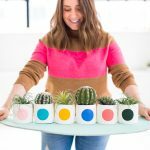 The box artwork was created by British designer, Emily Carew Woodard, so you’re instantly chic with a few of these around if you ask me, haha! Your table setup is adorable! 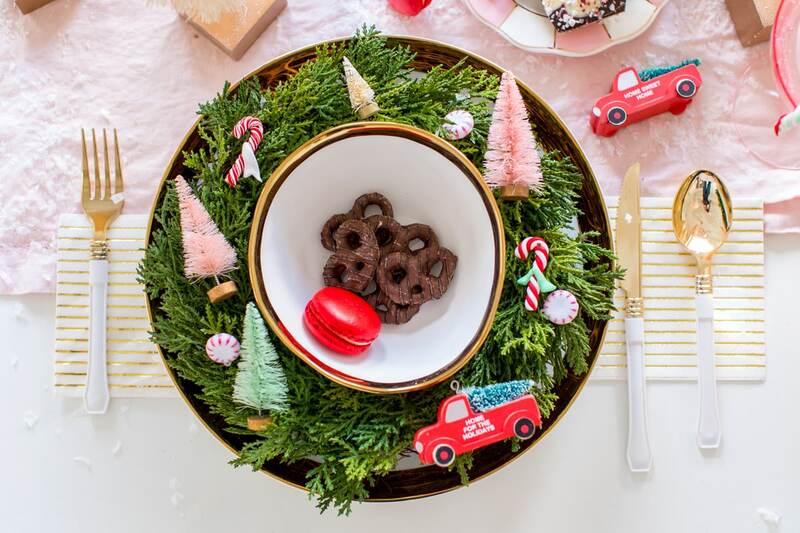 I love the wreaths around the plate, it adds such a festive touch! 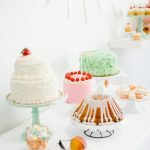 Your table decor is gorgeous! Love all the decorations you put together! I love decorating my small apartment. This small decors are very detailed and amazing. I love that it’s got color variety instead of just the traditional red and green. The wreaths around the plates are awesome! 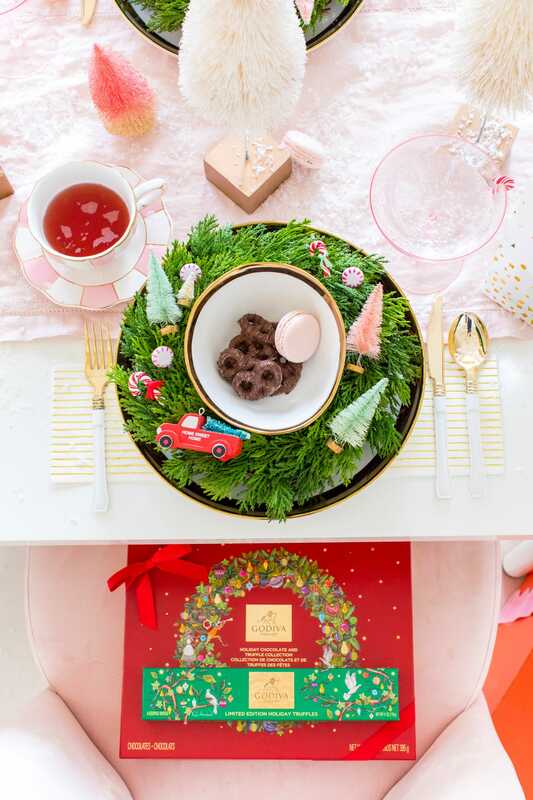 These gift sets are so lovely! The are perfect for a chic and moder decoration! 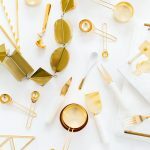 Great list of gifts! The glitter bomb cocktail shaker is really cute. 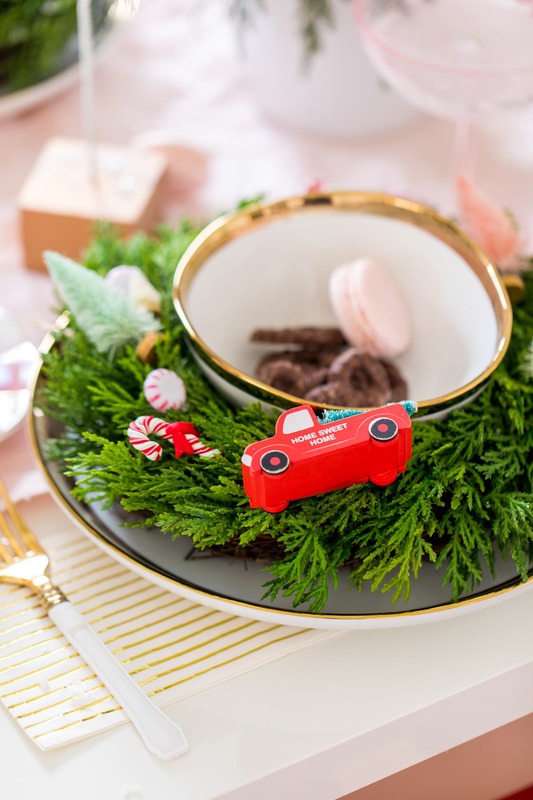 I also love all the Christmas tree decor on the table. Thank you Easter! I am in love with that cocktail shaker!